Beautiful to behold and possessing a soul to match, 'The Greatest Showman' reveals the unexpected musical side to Jackman's talent. What is it about morality tales that makes them so perennially desirable? And what's with this imperishable renewability of Broadway-styled musicals? 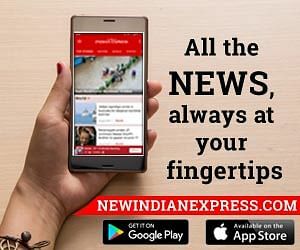 The answers to both the questions are embedded in the enchanting cadences and undulating paces of "The Greatest Showman", a film that holds up remarkably well at the fag end of the year as a shining shimmying mirror image of an untouched unspoilt soul dancing to a beat that discredits any cynical interpretation. Unmistakably old fashioned and sinfully melodious, "The Greatest Showman" marks the musical debut of "X-Men" star Hugh Jackman. I last saw him grieving for a lost innocence in the action weepie "Logan". In this film, Jackman restores our faith in the power of music and love to heal. The film purports to be a biopic of sorts chronicling the life times and flamboyant staged spectacles that the 19th century showman P.T. Barnum created by gathering together the outcasts of society, the dwarf, the bearded woman, the obese man, and at that time in the history of America even the Black Americans were considered outcasts. When they come together on stage, anything can happen. The narrative brings together the strands of the music dance and sheer joie de vivre with an effervescence reminiscent of 2016's Broadway-on-celluloid "La La Land". "The Greatest Showman" has more vitality than that overrated film last year where two good looking people danced to show us how aesthetic they looked in doing so. In "The Greatest Showman", the choreography is far more spontaneous. The characters are far less immaculate than actress Emma Stone and actor Ryan Gosling. Far more flawed and passionate in their propensity to live beyond their means by expressing themselves through songs and dance. The music and choreography are absolutely first-rate. I found myself humming the numbers like "A million dreams", "Come alive" and "This is me" long after the magical film played itself out. The narrative suffused in the magic of nostalgia and yearning, puts a hum in the audience's soul and song on the lips. 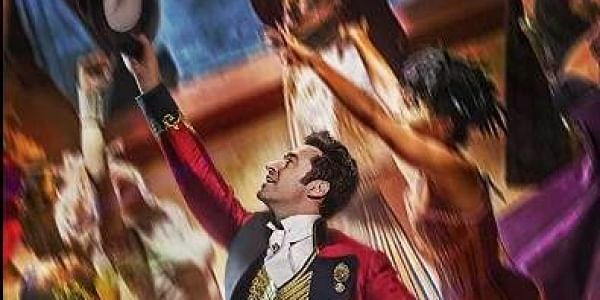 Enchanting from the word go, somewhere down the line "The Greatest Showman" becomes a morality tale about success driving the protagonist away from his roots. Rebecca Ferguson as a tragic melodramatic singer whose ‘pure' voice dilutes the very essence of what Barnum stands for. There is also a touch of forbidden love between Zac Efron and Zendaya and their musical number sung and danced on trapeze bars, is simply spellbinding. Beautiful to behold and possessing a soul to match, "The Greatest Showman" reveals the unexpected musical side to Jackman's talent. Who would have thought he had it in him? The musical format brings out the best in all the actors in this gem of a movie. Innovative, colourful and clogged with that quality which Barnum invented-showmanship-this big-screen experience is just the way to end the year.